Nowhere are we more vulnerable to the weather than on a mountain top or when we are traveling in the mountains. Reading mountain weather is a vital skill to ensure that you take the safest route in the mountains. I have taught skiing and lead groups in the mountains in summer and winter for over eighteen years. With my knowledge and experience here are some valid tips and some of my insights to weather. Before planning a trip or adventure read two or three weather forecasts the night before. Work out if all weather forecasts are telling you the same story. You can also look at weather charts to assess low and high-pressure fronts and where they have come from. Reassess the forecasts in the morning to see if there have been any changes. One of the forecasts that I use is snow-forecast. I can access a nine-day forecast which allows me to see what the weather is doing further away. 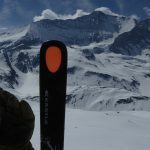 This is a good tool to have and helps when planning a two or three-day ski touring expedition. Assess the weather where you are. These are the questions that you need to be asking yourself. What altitude are you at? Is there any wind? What is the visibility? Are there any clouds in the sky? What is the temperature? Is the weather matching to the forecasts that you have seen? In most ski resorts there will be an information center where you can find out the forecast. Also at some ski lifts the weather and temperature are displayed. On my PEPS inclinometer, I have a temperature gauge so I can read the temperature throughout my journey. This also helps with the decision making in avalanche terrain. This is where most people go wrong and get into danger whether it’s in an avalanche or they get caught in bad weather. NEVER have tunnel vision and solely focus on one goal, one summit or one route. You have to be flexible and adapt your journey to the weather you have and predict the weather that is coming. Assess the conditions where you are and ask yourself similar questions. What altitude are you at? Has the wind increased or decreased? What is the visibility? Is the weather changing for better or for the worst? What is the temperature doing? On average the temperature cools down one degree for every 100 meters that you climb. Is that happening? What are your exits? What is your plan B if the weather comes in? In the French alps you can get weather forecasts in the mountain refuges if they are open. Some satellite phones and trackers allow you to receive forecasts whilst you are traveling. Check on the GTC website for which trackers or satellite phones to carry on your backcountry adventure. For weather prediction get to know different cloud types and what they predict. For example, cirrus clouds are high altitude clouds which indicate a change in fronts. Get to know the altitude and what direction mountain peaks are around you. Is there any snow wind drift coming off the summits which indicate high altitude winds? 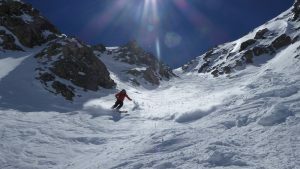 FREEFLO specializes in progressive on and off-piste ski instruction, backcountry ski touring and women-specific ski courses. We offer personal British ski instruction for skiers of all abilities. 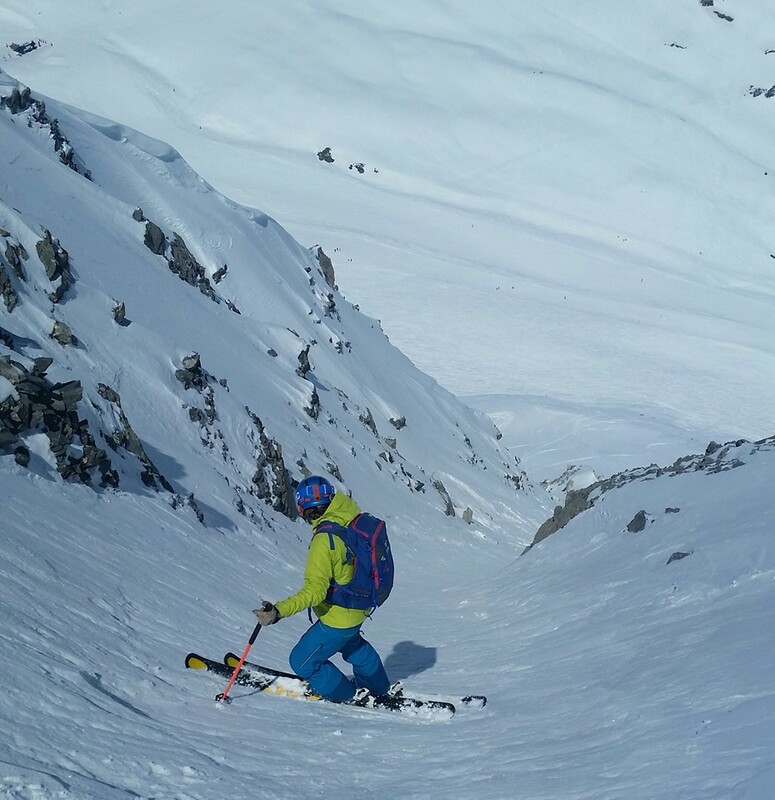 Our primary objective is helping competent skiers to improve their technique on and off-piste and in the backcountry. Our intuitive coach approach will help you to progress, have fun and enjoy the full freedom of the mountains in a safe and confident manner. 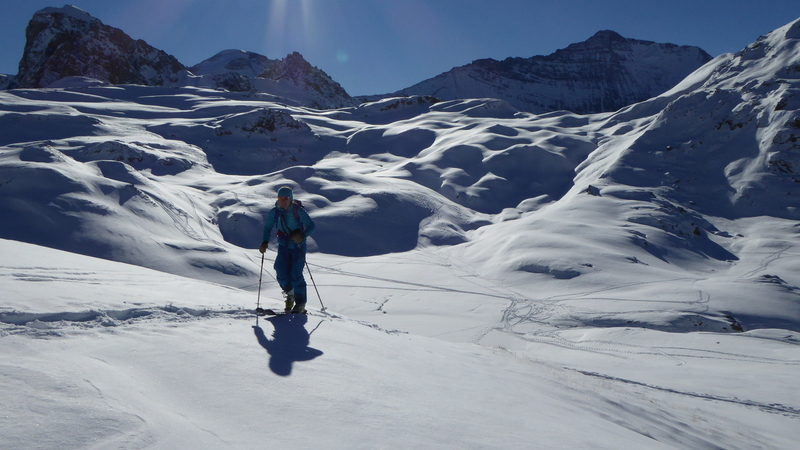 This is a simple ski touring route that you can build your skills and confidence on. It is good physical training at high altitude as you start going uphill at 2700m to 3200m. 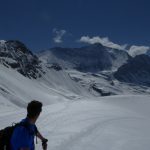 Why did I choose this ski touring route? The snow conditions this winter are different compared to last winter. The snowfalls have been far and few between and have brought warm temperatures and high winds. At the beginning of December, it rained up to 2900m and last Monday it rained up to 2400m which affected our snowpack. 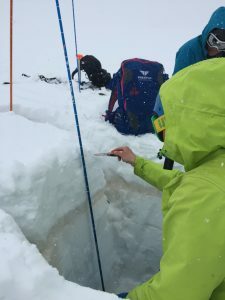 Knowing the history of the snowpack in the ski area that you want to ski in is crucial to making the right decisions and finding the good snow. 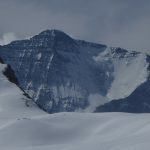 I knew that the area of the Fornet and the Col De I’Iseran had more snow than any other area in the Tarentaise Valley. 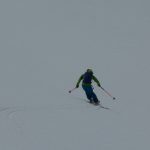 Looking at the weather forecast the night before and reassessing in the morning, I made the decision to ski tour Col De I’Iseran to Col de I’Ouille Noire in Val D’Isere. I could keep at high altitude and find the good snow in the gullies. 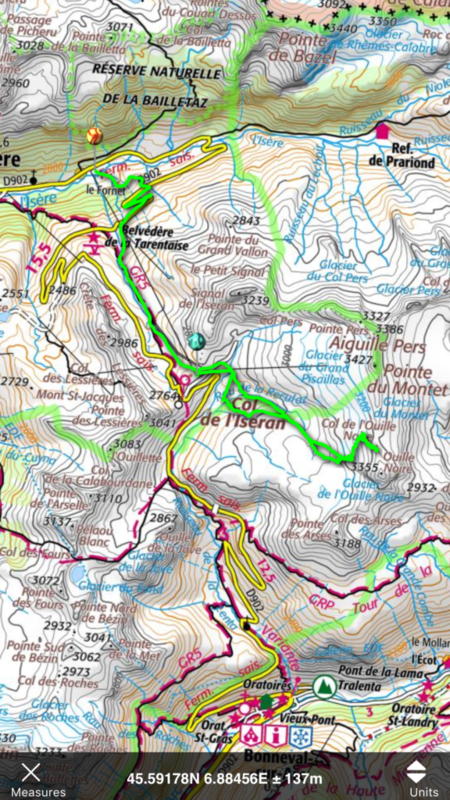 It is a smaller route on simple terrain with navigation points that I could use if the weather got worst. The temperatures in the day would stay warm and consistent which meant that the summits and ridges wouldn’t be too icy. I was really happy with my decision and with good route finding, we managed to find some good snow and reach the Col de I’Ouille Noire. Improve your mountain skills and get in touch with FREEFLO. Follow our adventures on Instagram, Facebook, and Blog. Step up your avalanche game! This winter we are running avalanche training and snow awareness workshops in Tignes as last winter season, 2016/17 there were more avalanches and incidents than in a normal season. This was a result of an unstable snowpack, caused by variation in temperature, high winds and the type of snow that fell. Out of the19 ski seasons I have done this one had the most avalanche activity I have ever seen. 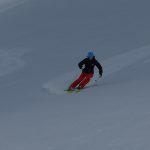 New ski technology and the fast-growing trend in winter sports means more and more people are venturing into the off piste. 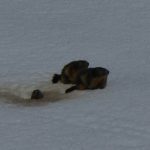 They have good equipment but a with a lack of snow awareness and a lack of experience sometimes bad and riskier decisions are being made. The mind-set of getting ‘fresh powder tracks’ is creating a culture that shows little respect for others as groups and individuals are just focused on themselves. Most of the time people get away with their route selection and decisions. However, it’s a risky game to play and sooner or later it could be you or your friends who get caught out and trigger an avalanche onto someone else, or even be in it yourselves. This is when you need to be ready. I have a lot of clients, friends and seasonal workers that ask me how they can be safer in the off piste and backcountry. 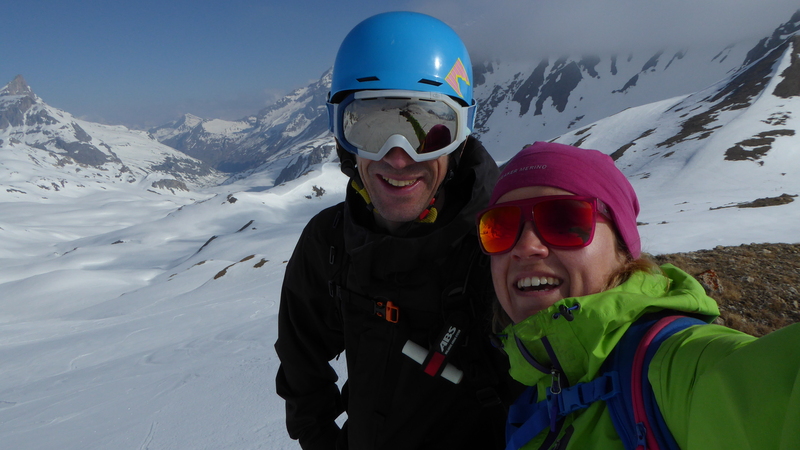 So, new for this winter, with 16 seasons ski teaching and guiding behind me, I am delighted to be coaching and introducing affordable half day FREEFLO Mountain Respect Workshops in Tignes. The workshops are designed to help you be safer and make better decisions whilst off piste and in the backcountry. They will give you more snow and avalanche awareness and you will learn the skills that I use to help make the best decisions I can in avalanche terrain. For more information on the workshops please visit FREEFLO If dates aren’t suitable or work for you drop us an email: [email protected] and we will be able to tailor other dates and workshops for you, your chalet staff, your clients or friends. Teaming up with the Adventurer Squash Falconer FREEFLO is proud and excited to announce being a part of a very special and exclusive Snow & Rock evening ‘Inspiring Your Adventure’on Wednesday 19th October at the Snow+Rock flagship store in Covent Garden in London. We are also teaming up together with Snow & Rock to run Two Off Piste and Backcountry adventures for next winter on the 8th January and 16th of April 2017 in the Espace Killy. Further details will follow. Step into your next adventure with FREEFLO and Squash Falconer. 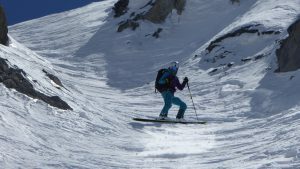 FREEFLO specialises in progressive on and off piste skiing, backcountry ski touring and women specific ski courses in Tignes, Val D’Isere, St Foy and La Grave. Please visit our site: www.freefloski.com and join our newsletter for free. Like us on Facebook and Instagram and we will keep you up to date on posts, photos and videos for free. Check out more adventures with Squash at squashfalconer.com. Just after or even when it is snowing everyone rushes out on the mountain to ski fresh powder to get the adrenaline rush of skiing lines off piste with that remarkable floating feeling. 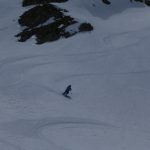 Often the powder which is accessible by the lifts in big resorts are skied out by the end of the morning. Some days when I am teaching on the hill most places are skied out by 11am, thats when knowing the mountain is to your advantage. With knowledge and understanding you can ski further a field into the backcountry and go to the secret places to find the stash of powder where less people go. I really enjoy this new type of skiing as you have best of both worlds touring up hill and longer lines off piste downhill. 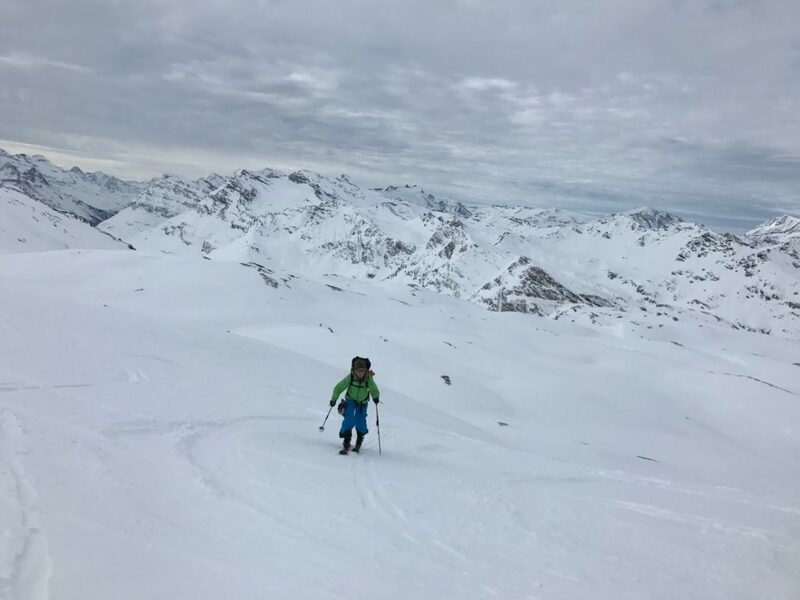 This route is a great route that you can achieve in half a day and you feel like you have achieved a bit of everything a summit, steep uphill ascent and a longer time skiing off piste. The difficulty is the last 200m of the accent where it is vertically challenging and you need to be good with your kick turns but if all else fails you can always boot up. The off piste lines off the Pointe Boussac are in abundance and are as varied and challenging as you want them to be! 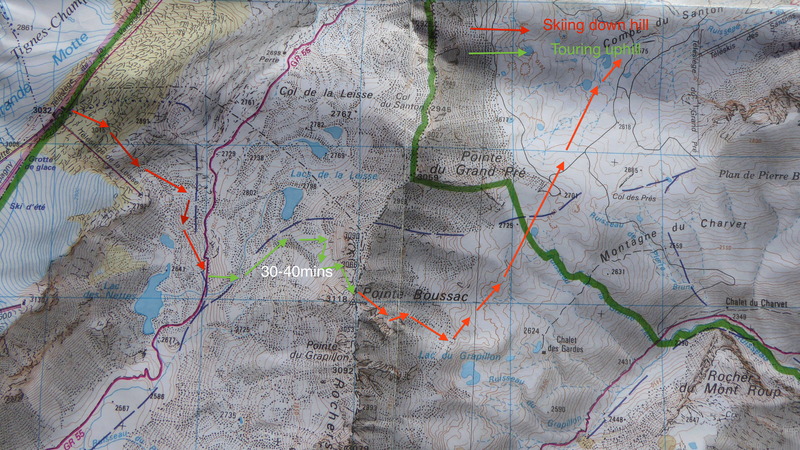 If you would like to ski this route or another route similar please get in contact with FREEFLO. 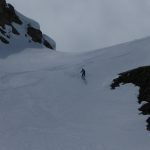 FREEFLO specialises in progressive on and off piste skiing, backcountry ski touring and women specific ski courses in Tignes, Val D’Isere and La Grave. 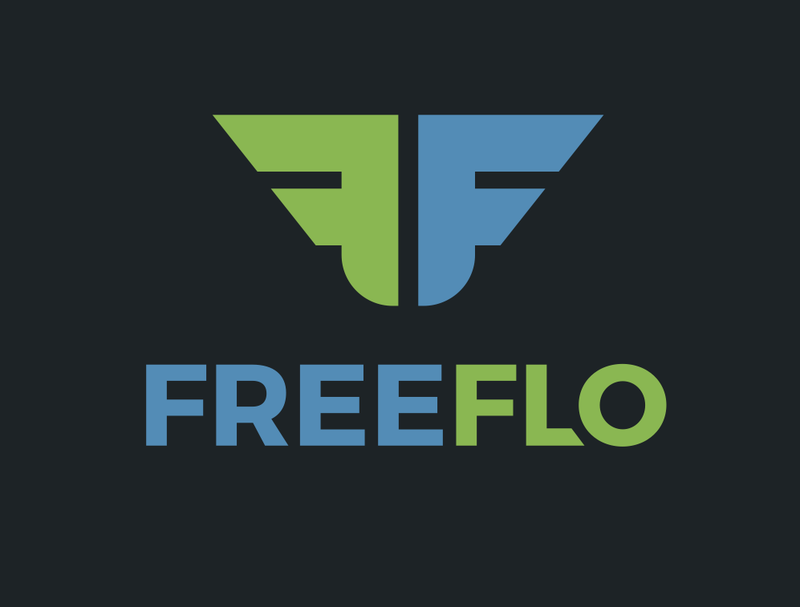 Please visit our site: www.freefloski.com . Like us on Facebook and Instagram and we will keep you up to date on posts, photos and videos for free. Step into your next adventure with FREEFLO. We look forward to skiing with you. 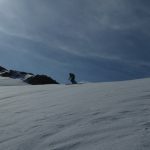 Often when I am talking to clients about ski touring which involves going uphill I am confronted with their puzzled and confused face and the question of HOW? The answer is that we put skins on and go uphill which makes the client even more confused then before. By most accounts skis and skins have been around for thousands of years. For a long time skiing was called ‘skilaufren’ (ski walking). The term for ski riding and downhill skiing wasn’t born until the 1920’s and 30’s. With technology advancing so much during the first world war and the postwar revitalisation programs in Austria and Germany led to the first Gondolas which along with ski lifts changed the face of skiing forever and was then called ‘skifahren’ ski riding. Before lift-assisted skiing, the masses earned their turns by attaching skins to their skis for traction. At the time mammal skins were used and the cheaper option some people strapped fur twigs under their skis. The seal skin was a popular material because it fulfilled two contradictory purposes, gliding properties to go forward and to provide as much traction as possible to stop you from gliding backwards. In these modern times in Europe we often use mohair (goat hair) daily due to tradition where as synthetic skins are used more worldwide. Synthetic skins will last longer compared to natural fibre skins. You can have a combination of both. However, mohair skins have better gliding properties in colder snow compared to the nylon skins which last longer and are better in warmer conditions. The Backing is what the Plush adheres to on one side and the adhesive to on the other which is generally made of nylon. Over there last couple of year recent technology has produced vacum base skins which don’t use adhesive. For a long time a leather strap around the skis was used to secure the skins onto the skis which caused a lot of problems on the traverse. The Swiss Army come over this problem by drilling holes in the skis and bolting the skins onto the base of the ski. Nowadays we have more elaborated tail and tip attachments which secure the skins. Time just flies by and every winter season comes round quicker and quicker. At the end of last season I managed to spend a day in the backcountry with Stuart Bernard the Director of Ski Focus. It was a great opportunity to show him some of the beautiful backcountry that is on our door step and a chance to catch up with him after a busy season. The day was perfect for touring with blue skies and no wind and at the end of the season there was no one around. 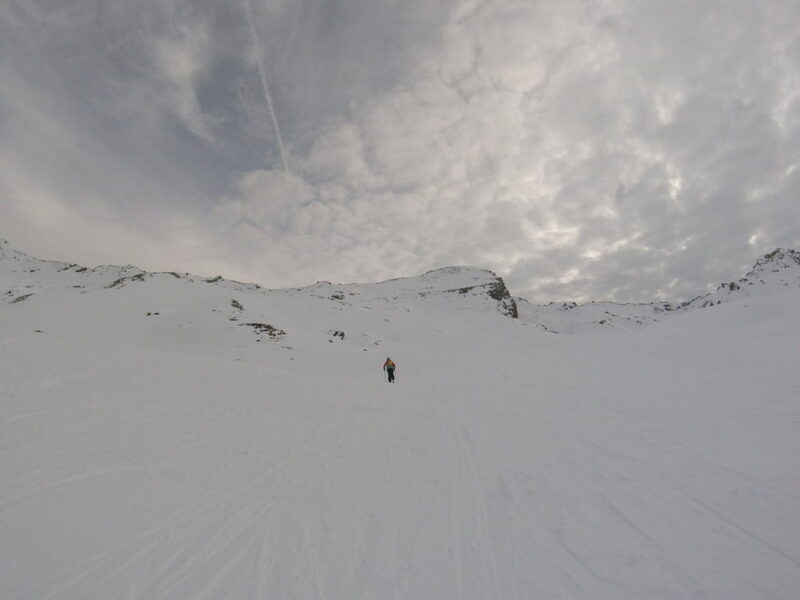 After dropping into the Col Du Palet we only saw two people in the distance all day. 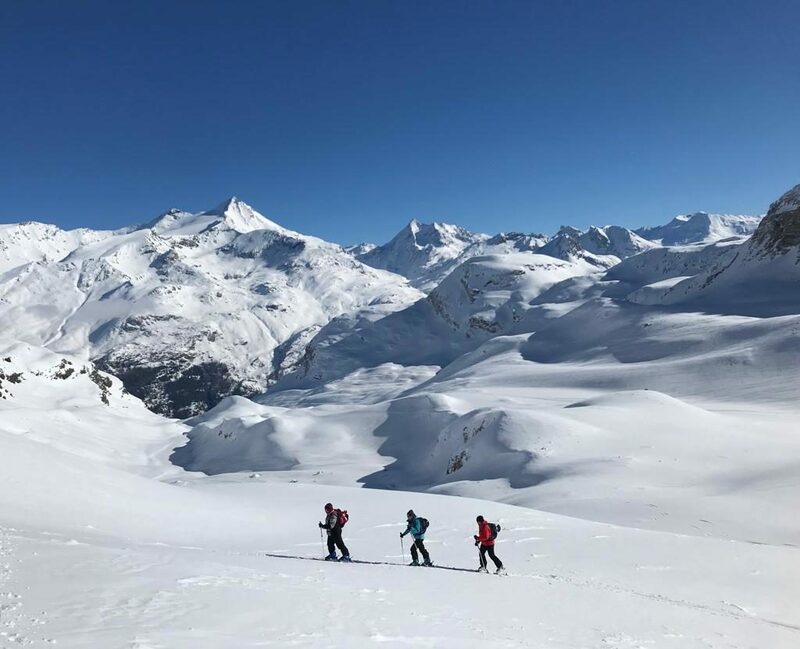 Ski touring is a great opportunity to make new friends and build strong relationships as you are away from any distractions and you get the chance to really talk. After three and half hours of uphill and two hours downhill at the end of the day we returned back to Val Claret to finish a great day with a beer. 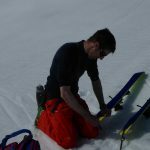 Stuart teaches skiing all year round he is based in the Espace Killy for the winter and teaches in the snow domes in the UK in the summer. 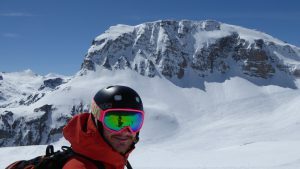 He runs a number of Gap Ski Courses throughout the year as well coaches and examines people who want to become instructors. 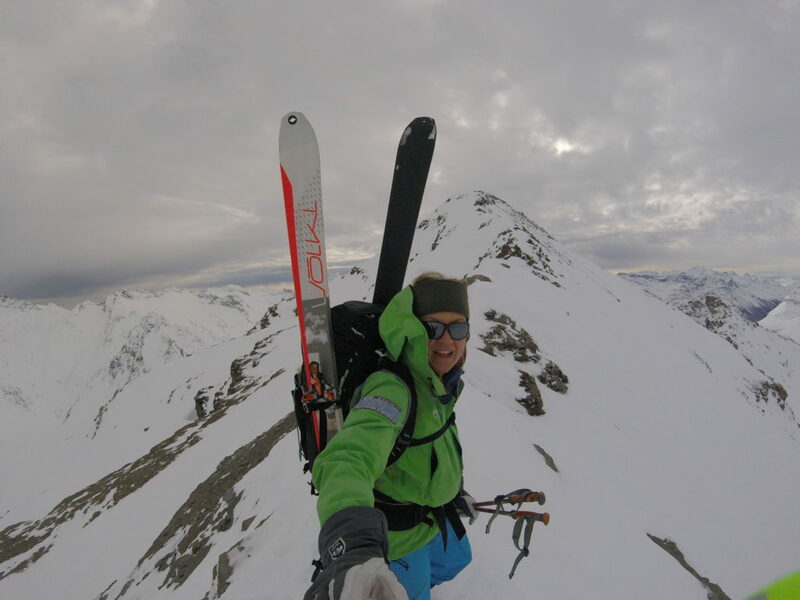 For more information and to ski with Stuart please visit: http://www.skifocus.co.uk. 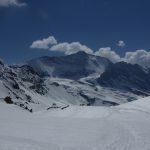 FREEFLO specialises in private instruction, ski courses, off piste and ski touring within the resort of Tignes, Val D’Isere and La Grave. Visit http://www.freefloski.com. For further information please don’t hesitate to get in contact and email: [email protected]. Do you run out of ideas of how to keep your kids entertained in the school holidays? 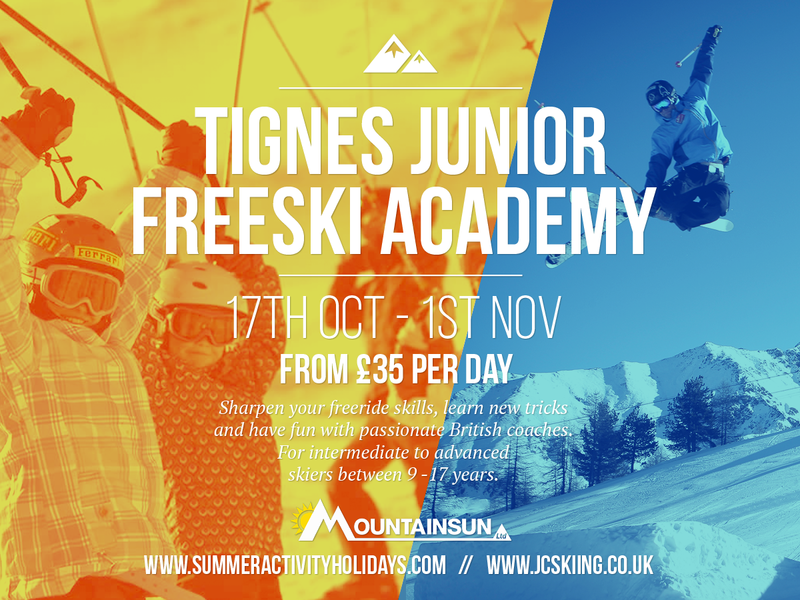 Make this October Half Term special and sign up to the Tignes Junior Freeski Academy. FREEFLO has joined together with MountainSun holidays to present a unique package of adventure for intermediate skiers from nine to seventeen years old. The camp takes place on the Grand Motte glacier in Tignes which is one of the largest skiable glaciers in the world. Sharpen your freeski skills, learn new tricks and have fun with passionate experienced British coaches at a great price. 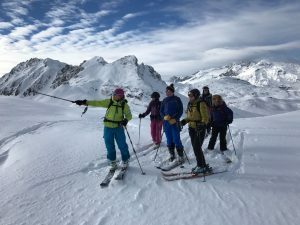 FREEFLO specialises in women ski courses, private instruction, off piste skiing, ski touring within the resorts of Tignes, Val D’Isere and La Grave. Tignes and Val D’Isere together is one of the largest ski areas in Europe. 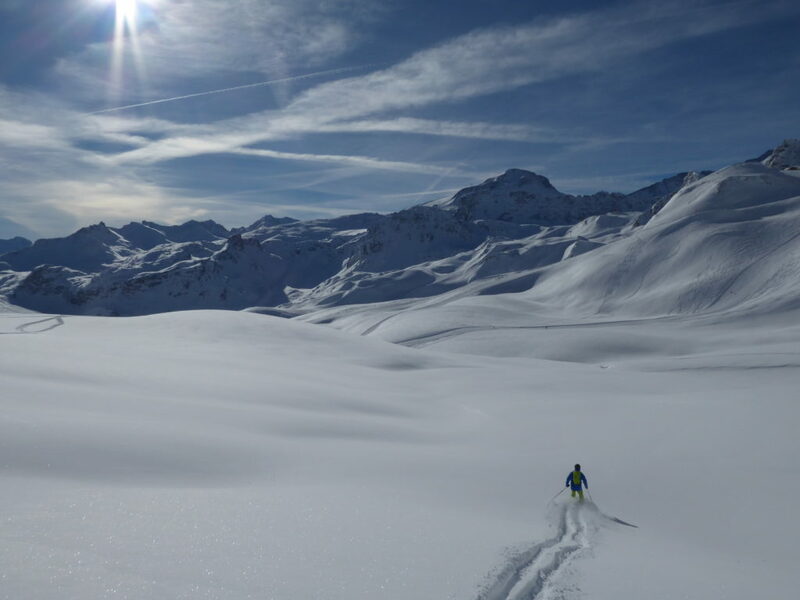 Behind the ski slopes you have the wilderness and tranquillity of the Vanoise National Park which offers amazing off piste skiing routes and ski tours. 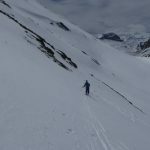 This is a short video of skiing off piste to the refuge de Leisse and ski touring back to Tignes which can be achieved on a day.